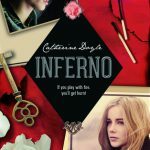 Inferno by Catherine Doyle (Blood for Blood #2) — YA romantic thriller. I loved Vendetta, the first book in the trilogy, and Inferno was equally good. Lots of action and high stakes as main character Sophie copes with her involuntary entanglement with local mafia families, plus her increasing attraction to one of the Falcone brothers. It’s all such good fun, and I can’t wait for the last book. 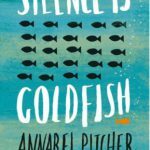 Silence is Goldfish by Annabel Pitcher — YA contemporary. I flew through this, it was so good! The premise might not be revolutionary (teen girl becomes electively mute after learning something traumatic), but Pitcher’s such a great writer, and the voice completely carried the story. Entertaining and heart-warming. Highly recommended! 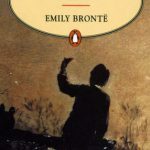 Wuthering Heights by Emily Brontë — Victorian classic, re-read for the 2016 Classics Challenge. Read my full review here. 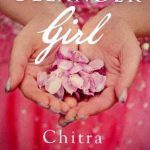 Oleander Girl by Chitra Banerjee Divakaruni — Indian YA / chick-lit contemporary. This was a gift from a friend, and I was excited to read it as I’ve not really read any Indian fiction. I definitely found it interesting to read about such a different culture. However, the characters were all so prejudiced (classism, racism etc. ), and though those prejudices were necessary to the plot, it made it hard for me to connect with the characters and their predicaments. 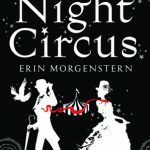 I found myself judging the characters more harshly that I think the author intended, and so my feelings about this book are a little confused! 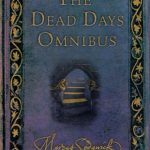 The Dead Days Omnibus by Marcus Sedgwick — MG fantasy, and technically two books: The Book of Dead Days and The Dark Flight Down. I enjoyed the first instalment, with its dark, alternate-Victorian setting, but the sequel didn’t feel super-necessary. 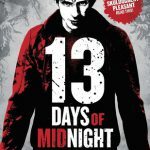 13 Days of Midnight by Leo Hunt — YA horror. I picked this up in a library sale, and have never spent a better 25p! About a teen boy who inherits his father’s millions along with eight powerful ghosts who want to kill him, 13 Days of Midnight is my kind of horror — dark yet light-hearted at the same time. Really happy there’s a sequel. The End of the World Running Club by Adrian J. Walker — Adult apocalyptic, about a family’s survival in Edinburgh after meteorites destroy most of the northern hemisphere. I do love good apocalyptic and post-apocalyptic fiction. 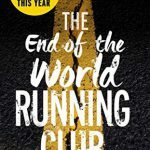 The End of the World Running Club is slightly unusual in that it’s more about character than horror, but it still has plenty of nail-biting moments, and a nice balance between lightness and dark. Though I wished for a slightly different ending, I overall really enjoyed it and would recommend. 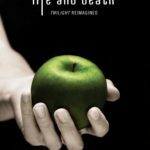 Life and Death: Twilight Reimagined by Stephanie Meyer — The gender-flipped Twilight. An interesting reading experience! Back in the day, I really liked Twilight. It was the book that started me reading YA, and I’ve kept a soft spot for it, despite being aware of its cheesiness and problematic aspects. So I was intrigued to head back into that world again, hoping to indulge in a bookish guilty treat. But the romance in Life and Death didn’t do anything for me — and the romance is what Twilight‘s all about, right? Without rereading the original book, I’m not sure if it’s simply that I’ve read a lot of better YA since 2008, or if the way the gender-flipping was written didn’t quite work for me. If you’ve read it, I’d be interested to hear what you thought! I read Silence is Goldfish this month, I loved it! Made it into my top ten reads of the year. Inferno is awesome too, such a great read. 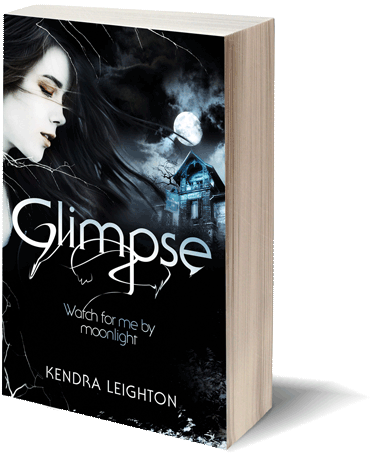 A few others here to add to my TBR too thanks Kendra. They’re such great books, aren’t they? Really happy you liked them too!